This list of free programs for the simulation of electronic circuits online will be useful for you and will help you in your practice. The circuit simulators that I propose work directly from a website, so it is not necessary to install them on your computer. 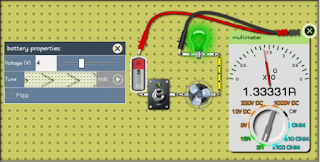 EasyEDA is a fantastic electronic circuit simulator, it is particularly suitable for lovers of electronic circuits. The EasyEDA development team has been striving to adapt this design program to a web platform for many years. This is done and this tool is now available to users. 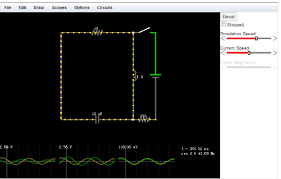 This environment allows you to draw diagrams and test the operation using the simulator. When you are sure that the circuit is functional, you can create the PCB with the same software. More than 70,000 schemas are available in the online database as well as 15,000 Pspice libraries. The website is also a public exchange platform where you can find and use many projects and electronic circuits created by other users in the spirit of Open Hardware. The platform has powerful import and export functions. At the moment, it is possible to import files created with the following software: Eagle, Kicad, LTSpice and Altium Designer. For export, PNG and SVG formats are supported. Many examples and a tutorial available on the site will allow you to quickly master this tool. 2. 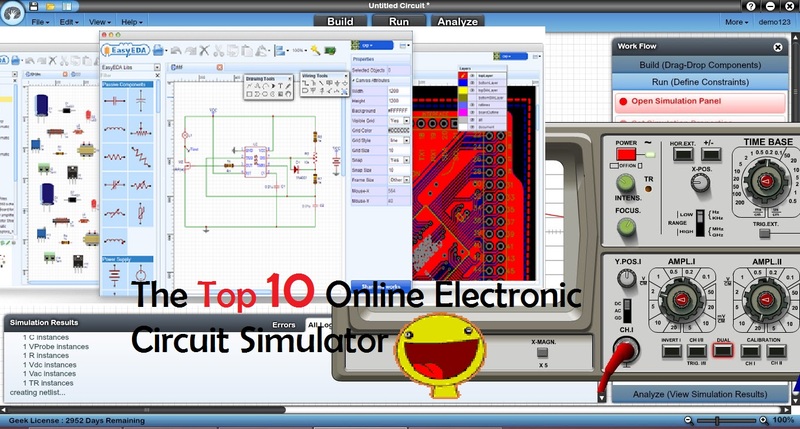 Sims Circuit: This is one of the first Open Source web simulators I tested a few years ago. Unfortunately the developer has not jumped at the expense of quality and GUI. 3.DcAcLabdispose visual quality and graphics but remains limited in simulation mode. It is a good tool for teaching, very easy to use. The representation of the components is realistic and will allow you to test a circuit without, however, draw the diagram. 4. 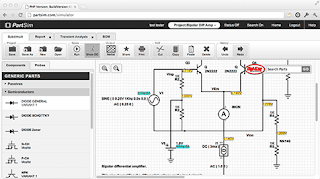 EveryCircuit is an online simulator with a nice GUI. When you use the simulator for the first time, it will allow you to create an online account and thus get a personal space to save your projects. The entire graphic space can only be used when you have subscribed an annual $ 10 participation. This utility can be downloaded and used on the apple store and Goggle play store for tablets. The components used have the ability to be used in simulation with the minimum parameters of spice. 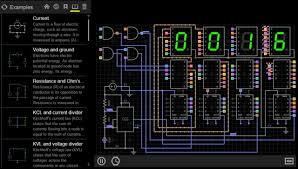 Very simple to use, it is an interesting system for electronic design. It allows you to embed the simulations in a web page. 5. DoCircuits: leaves an impression of confusion when using the website. It provides many examples of how the program works. See the video "get started in five minutes". Measuring the dimensions of the circuit elements is displayed with realistic virtual measuring instruments. 6. PartSim is an online circuit simulator. It conforms to the spice simulation. It will allow you to draw electronic circuits and test them. It is still a recent simulator, so there are few components available to perform a simulation. 7. 123D Circuits A utility developed by AutoDesk that allows you to create circuits, see them on a test plate, use the Arduino platform. 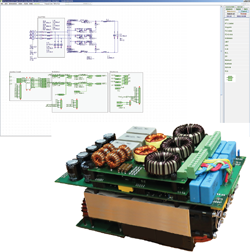 It allows to simulate the operation of the circuit and, possibly to create a printed circuit. The components are displayed in 3D with their actual appearance. The Arduino platform can be programmed directly into the simulator, it's really impressive !! 8. 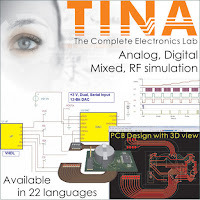 TinaCloud This simulation program has truly sophisticated capabilities. It allows you to simulate, in addition to normal functionality, microprocessors, VHDL language, SMPS power supplies and radio frequency circuits. The calculations useful for the simulation are executed directly on the server of the company and make it possible to obtain an excellent speed of operation. 9. 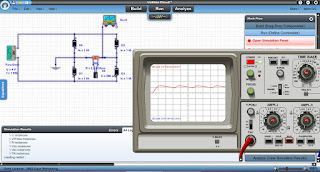 Spicy schematics is a multi platform app including the iPad. 10. Gecko simulations is a simulation software specialized in open source and power circuits. You can also test the thermal performance of the circuit. This software is developed by ETH (ETH Zurich).